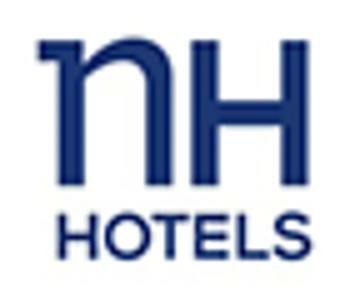 NH Madrid Puerta de Alcalá is within 325 ft of Madrid''''s Retiro Park and Principe de Vergara Metro Station. Its stylish rooms feature hardwood floors, minibar and pillow menu. Each room at this hotel includes air conditioning, free Wi-Fi and TV. Amenities are provided in the modern bathrooms. The NH Madrid Puerta de Alcalá features a restaurant and buffet style breakfast. Guests can enjoy a drink at the garden lounge-bar. There are also various restaurants and tapas bars within a 5-minute walk of the property. This NH is a 15-minute walk from the Puerta de Alcalá Gate and Plaza Cibeles. It is a short walk from the Sports Palace and Alcala New Theatre. The Prado Museum is just under 1 mile away and the historic center of the city is a 10-minute Metro ride away. Serrano Shopping Center is a 20-minute walk away. Barajas Airport can be reached in 20 minutes by metro. Salamanca is a great choice for travelers interested in Gourmet Food, Shopping and Culture.